A few days ago, Cerek Tunca mentioned that a great seven-letter bingo word would be ZEPHYRS, because of the amount of points gained. He's definitely right, with it being more than 20 points by its lonesome. Add the 50 bonus points and you've probably got a pretty good lead in Scrabble. But why is "a gentle breeze" called a zephyr? Well, in Greek mythology there were wind gods called the Anemoi. Each of them were assigned their own cardinal direction from which their respective winds came. Also, all four gods were associated with various seasons and weather conditions. Their physical representations varied, either depicted as gusts of winds, winged men, or horses. The names of the four gods? 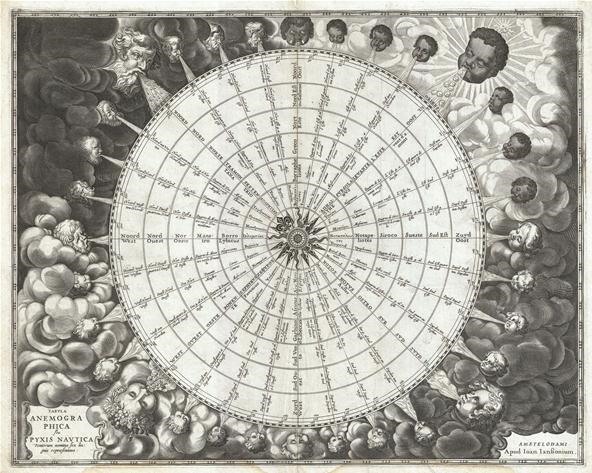 Boreas, Notus, Eurus and… Zephyrus. Zephyrus (sometimes just called Zephyr) was the west wind and bringer of light spring and early summer breezes. He was the gentlest of winds and fructifying messenger of springtime. This is why the noun zephyr refers to "a gentle breeze." 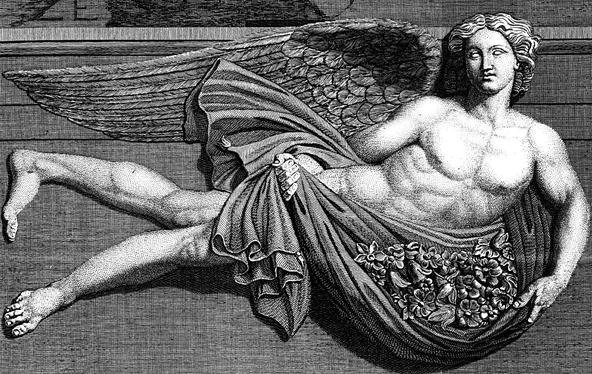 Favonius was the Roman equivalent to Zephyrus, who held dominion over plants and flowers. This is why the adjective FAVONIAN pertains to the west wind. Words are also derived from the other three chief wind gods. Boreas was the north wind god and bringer of cold winter air (BORA, BOREAL, BOREAS). Aquilo was his Roman equivalent, also called Septentrio, the source of the word SEPTENTRIONAL. 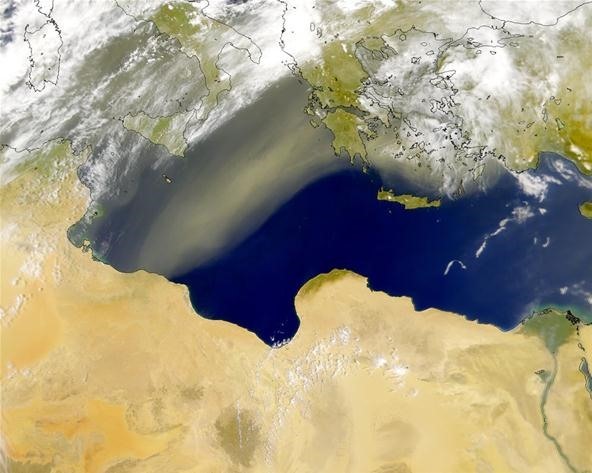 Notus was the south wind god and bringer of late summer and autumn storms, and his Roman equivalent was Auster, the embodiment of the SIROCCO wind (shown below from Libya), which is known in North Africa as GHIBLI. 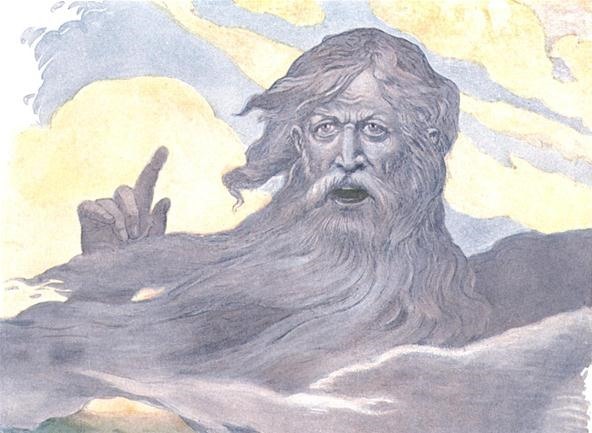 Eurus was the east wind god thought to bring warmth and rain. He was not associated with a season like the other three wind gods, but is related to the Easter festival (EASTER, EASTERLY). There were also minor wind deities, which are considered the evil demon counterparts of the four gods above. And there are even more wind deities in both Greek and Roman mythology, some of which have fathered other WINDY words. See the "Related Words" section below to see all of the wind-like words you can play in Scrabble. There are quite a lot of them, something worth studying aside from just zephyrs. I excluded words like ANEMOLOGY, WINDBURN, WINDBELL and WINDSOCK because they are either the affects of it, or are objects and ideas that interact with the wind. Some words like septentrion did make the list because of their direct influence from the wind gods. I'm sure I missed some, so let me know!